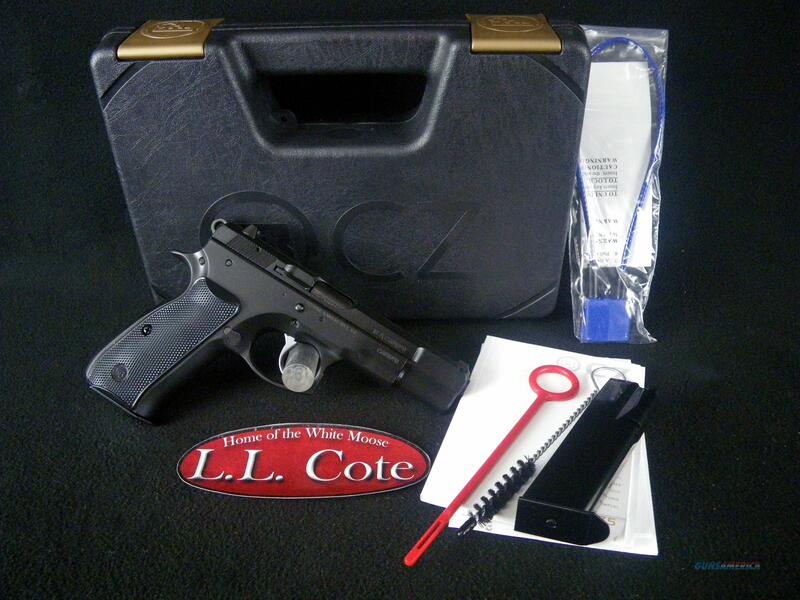 Description: You are bidding on a CZ 75 B in 9mm with a 4.6" barrel. Designed in 1975, the CZ 75 is the flagship model of the CZ handgun line with over one million produced. An entire family of pistols is available based on the basic CZ 75 design: compacts, decockers, single action only, ambidextrous, alloy frames as well as competition pistols. The 75 B features a steel frame, a black polycoat finish, 3 dot sights, 16+1 9mm capacity (10+1 in .40 S&W) and, of course, the ergonomics and DA/SA action that have made it the most copied handgun design second only to the 1911. The ‘B’ designation is an indicator that the model is equipped with a firing pin block safety. CZ 75 B is used by more governments, militaries, police and security agencies than any other pistol in the world. The CZ 75 is quite possibly the perfect pistol. Displayed images are stock photos. Any questions please feel free to ask (our phone number is in the additional information tab above).